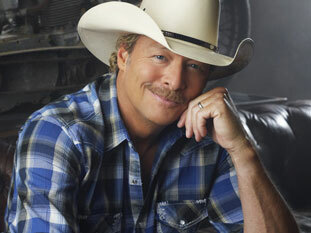 Alan Jackson will perform at the world famous Carnegie Hall in New York on Oct. 28 at 8 p.m. This special night of music will feature songs from Jackson’s The Bluegrass Album, set for release Sept. 24. Jackson wrote eight of the 14 songs on The Bluegrass Album, which will be released on ACR (Alan’s Country Records)/EMI Records Nashville and is produced by Keith Stegall and Jackson’s nephew, Adam Wright. Jackson last played the renowned venue in 2005 as part of an all-star Grand Ole Opry 80th Anniversary show celebration. For the Oct. 28 performance, he will be joined by the noted bluegrass musicians that are featured on Jackson’s The Bluegrass Album. Tickets may be purchased starting Monday, Sept. 9 at 11 a.m. and are available via carnegiehall.org, CarnegieCharge at 212.247.7800, and the Box Office at 57th and Seventh.